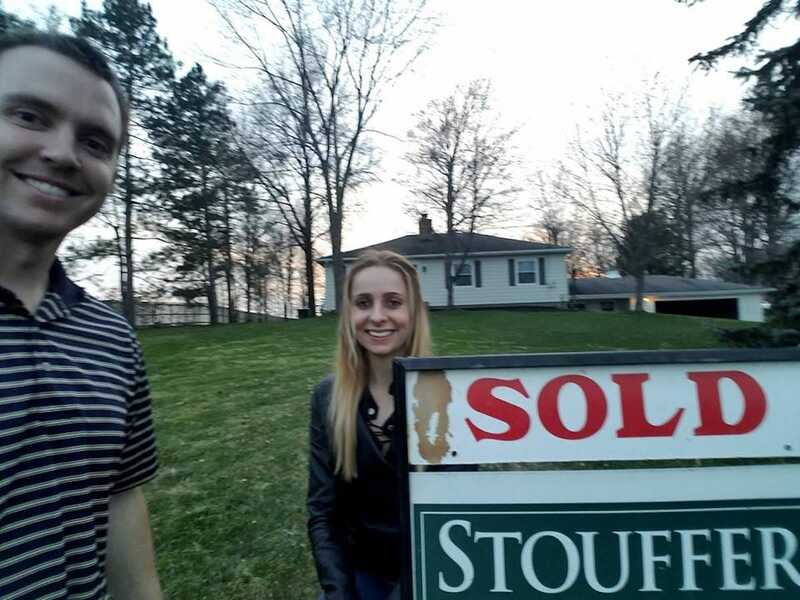 Right after my husband and I got engaged, we decided it was time to upgrade from our two-bedroom apartment to a house. In early 2017, we started attending open houses and stalking Zillow 24/7 in hopes that we’d find the perfect house. After seeing many houses in-person and on Zillow, we discovered that what we wanted came with a price. A big price. 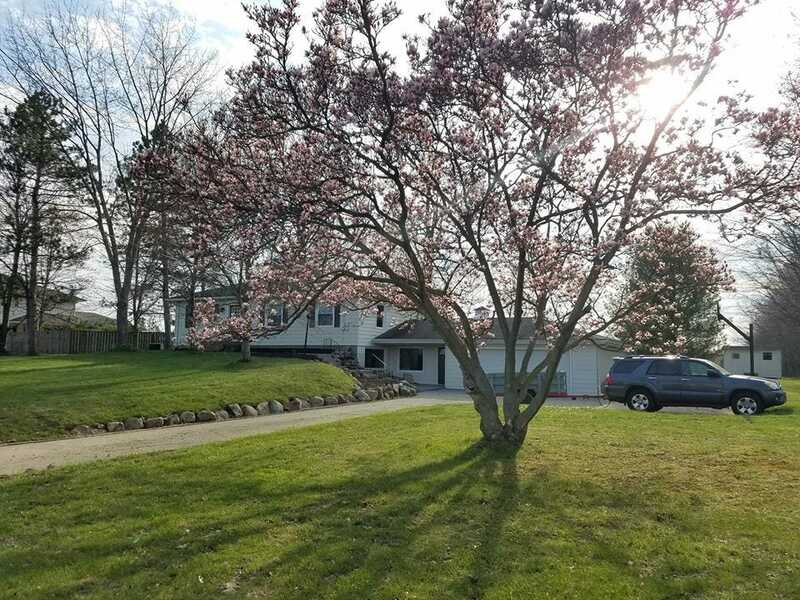 A 1,600-square-foot ranch with minimal updates, no basement, and a one-car garage in the school district where we wanted to be was $270,000 with high taxes. Not our idea of a good deal. As soon as we decided to take a break from house hunting and keep saving for a hefty down payment so that we could get what we want, we found the house that would eventually become ours. It was a cold Sunday afternoon in January and I was taking a nap when my husband woke me up so I could check out a sweet deal he found on Zillow (we were addicted to that website, even when we decided to take a break). My husband refers to our house as a “diamond in the rough.” Why, you ask? Because it is technically situated in the next city over from the city with the best school district yet allows us to be in that school district. It was about $100,000 less expensive than most of the comparable homes we looked at and on a larger lot with far more updates. Our house is a 1,900-square-foot, 3-bedroom, 2-bathroom raised ranch on 1.2 acres, located in a suburb between Cleveland and Akron, Ohio. It came with a remodeled kitchen and bathrooms, fresh paint, two fireplaces, a screened-in porch, and a deck. It is by no means perfect and did require some work, but we are thrilled to have found it. We were able to lock it in with 20% down at a 4% rate for $190,000 and closed in April of 2017. Since the house was far less than we expected to spend, we realized that we very well could pay it off early – and we decided to do it. Why did we want to pay off our house early? It’s pretty simple: freedom. By getting rid of our largest monthly expense, I would be able to quit my full-time job and pursue my dream of self- employment. My husband and I would pay for home improvement projects and vehicles in cash, increase our retirement contributions, travel, and live a comfortable, carefree lifestyle. When we decided to go for it and pay off our mortgage, we both had full-time jobs and I was writing on the side. I would write before work and after work as well as on the weekends, for create a third income in addition to the two incomes from our full-time jobs. We made large lump sum payments toward the principal every few months and watched the principal balance drop to $100,000, $50,000, and eventually $0. Was it easy? No. We worked like crazy, and there were many times where wanted to quit. Fortunately, we never gave up because we always saw the light at the end of the tunnel: our freedom. Our frugal TINK (Three Incomes No Kids) lifestyle, discipline, and hard work allowed to pay off our mortgage in 16 months. In October of 2018, we made our last payment. Is this house our forever house? We’re not sure. What we are sure of, however, is that living life with no mortgage comes with an unexplainable freedom that we never want to lose, and we couldn’t be happier with our decision.